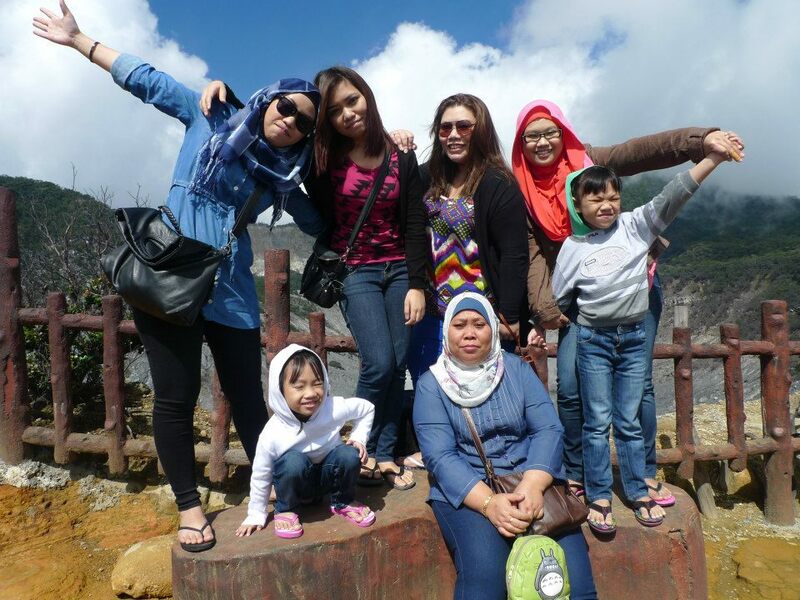 Early this year, we hopped on a place to Bandung with my family. I didn’t particularly love Bandung, as in the city itself did not attract me as much as Bali. But i went a little crazy with shopping there. particularly at Pasar Baru and Rumah Mode. Next time, if i ever go there again, i’ll spend the entire day at Pasar Baru to borong kain and another day at Rumah Mode to get dirt cheap clothes. 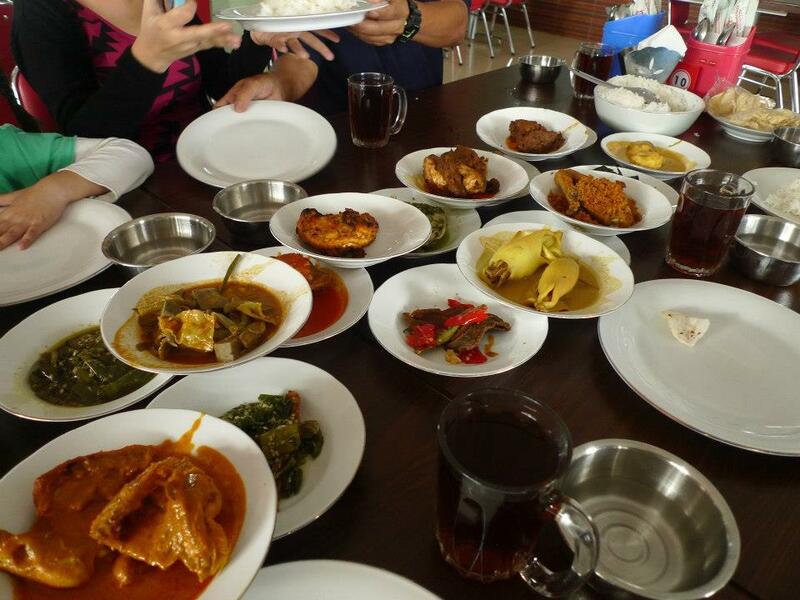 Food was awesome too although i really wish i had time to go Kampung Daun but that’s ok! 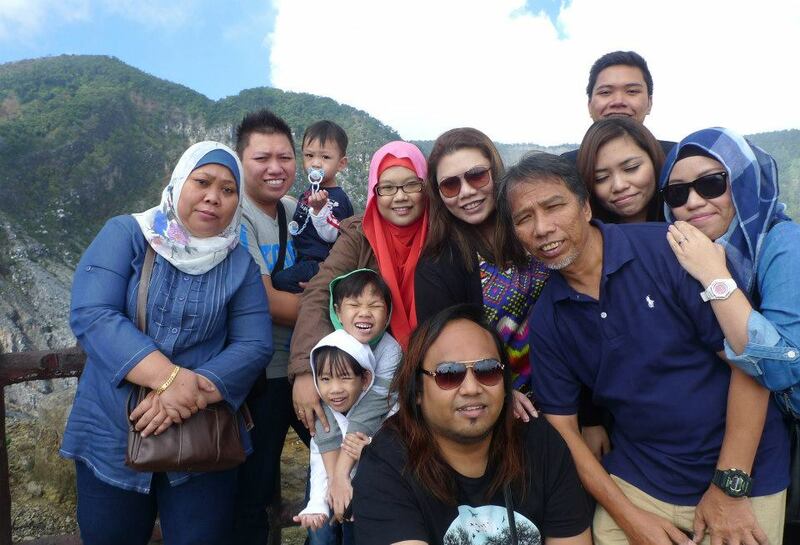 We could only squeeze in one place of attraction, Tangkuban Perahu because we wanted to spend more time shopping and honestly, the traffic in Bandung was pretty horrendous. We spent most of the time on the road cos of the Traffic Jam. bleargh. 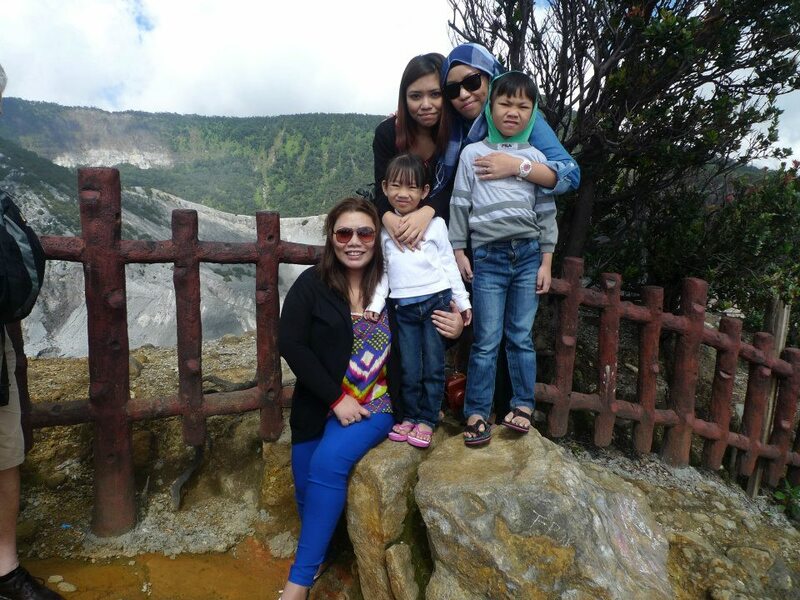 Tangkuban Perahu was a-okay for me. Love the cooling weather and the magnificent scene but the place was not well-maintained and the peddlers were beyond annoying. I’m sorry to say this and i know dorang semua nak cari rezeki but to follow us around bugging us to buy was pretty annoying lah. Especially when all we want is to just take pictures. 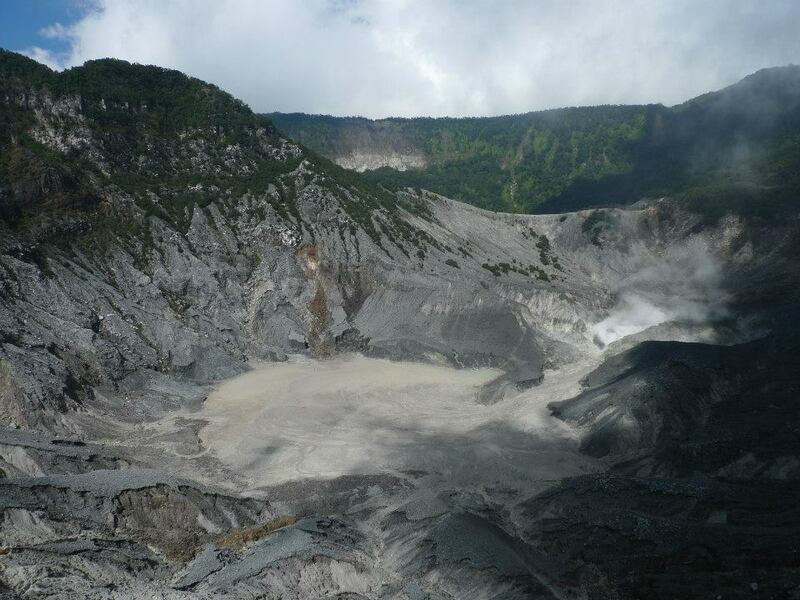 I wish we could have gone to Kawah Putih as well cos i know the hubs would love it but because it would take us about 2-3 hour (without jam) just to reach there, perasaan malas mula datang so kita lupakan saja. We went to Pasar Baru after that and that place is heaven if you are buying materials like Lace etc because it’s cheap and there’s a myriad of colors and designs and you’ll go bonkers with all of it. I ended up buying 2 sets of lace materials and 3 sets of chiffon materials and i don’t know what to do with them. yet. So if you are planning a trip to Bandung, go to Pasar Baru if you wanna look for kain and just head straight to Level 2 & 3 cos that’s where the actions are. The ones on top are generally very boring. For Nasi Padang, i recommend Restoran Sederhana. The food is nice and the restaurant is clean. 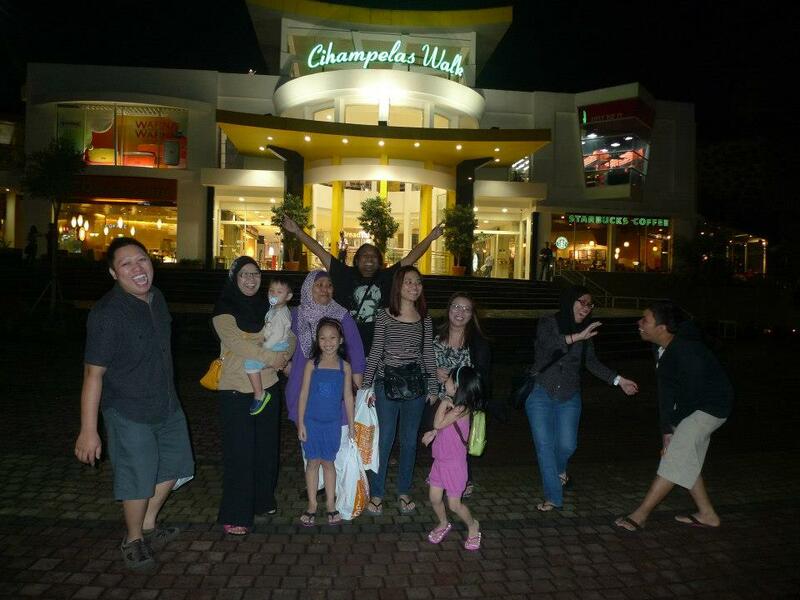 If you want western food or more modern, just go to Cihampelas Walk. they have lots of restaurants there. I went to Treehouse. Food was good and ambience was nice cos it was all English deco. The pace itself is very nice and huge.. so it’s also one of the must go! Truthfully, just spend your entire day at Rumah Mode & The Secret and you’ll do great cos the other smaller factory outlets sells really outdated designs. Like really really outdated lah. Tak tau tahun berapa nya tah. Rumah Mode is at Jl. Setiabudi. So if possible, just go and stay around that area. 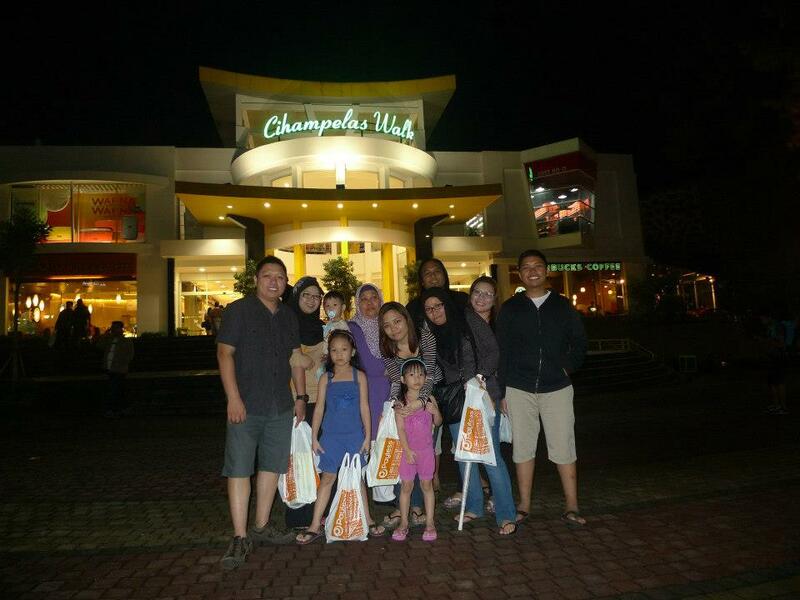 I would recommend Bandung only if you really love Shopping (like i do. i know my husband and my colleagues are really tempted to check me in Shopaholic Anonymous Meetings.) and even then, i think a 3D2N stay would suffice because there’s not much you can do except shop! I’ll be going to Bandung again after so long! Selamat baca yr post.. i didn’t know they have shops selling kain lace *geram* Will definitely visit and zoom in to level 2 & 3! ;)) hee hee hee.